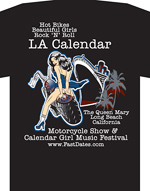 AFT Customs Metric Class winner "Halia" at the 2013 LA Calendar Motorcyle show is based on a based on a Honda 750 Shadow. You'll find bikes like this with beautiful Kittens featured in the FastDates.com Calendar Bike Garage with full specifications and screensaver size pictures. 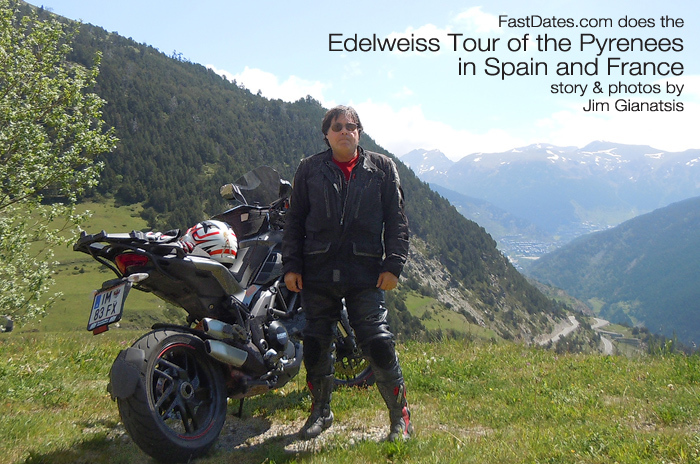 Needless to say we've probably shot a theme for every holiday over the years in the FastDates.com Calendars. From the archives, here's a fun one with a Halloween theme which appeared in the Mikuni 1999 Iron & Lace Custom Motorcycle Calendar. The model is Joceln Kelly who we featured in the Calendars a number of times, and it shot on location at a local Halloween Pumpkin Patch with a friendly duck from the petting zoo, and a Mikuni Ameican custom Sportster show bike. 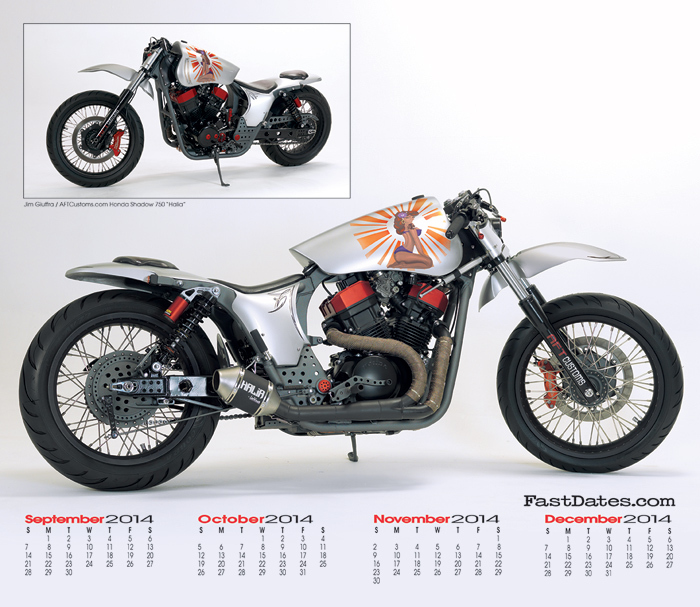 Past Editions of the FastDates.com Calendars are still available to order in our Collectors Corner. 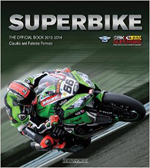 Doha (Qatar), Thursday 30 October 2014 - The final round of the 2014 eni FIM World Superbike Championship began earlier today with Thursday's traditional Media event. 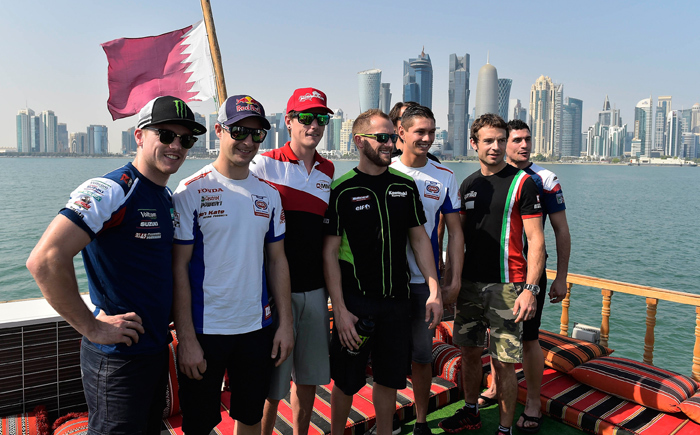 Tom Sykes, Sylvain Guintoli, Jonathan Rea, Davide Giugliano, Alex Lowes, Sylvain Barrier, Claudio Corti, Aaron Yates and 2014 WSS Champion Michael van der Mark were joined by four time Qatari Superbike champion Alex Cudlin for a boat ride on a typical Dhow vessel that began at the famous Corniche in Doha, taking in some of the impressive landmarks of Qatar, before ending with a photoshoot in front of the Islamic Museum. The Spaniard's latest success also gave Honda its 21st constructors' World Championship in the premier class and its 63rd in total since the company commenced its full-time participation in motorcycling's World Championship during the early 1960s. 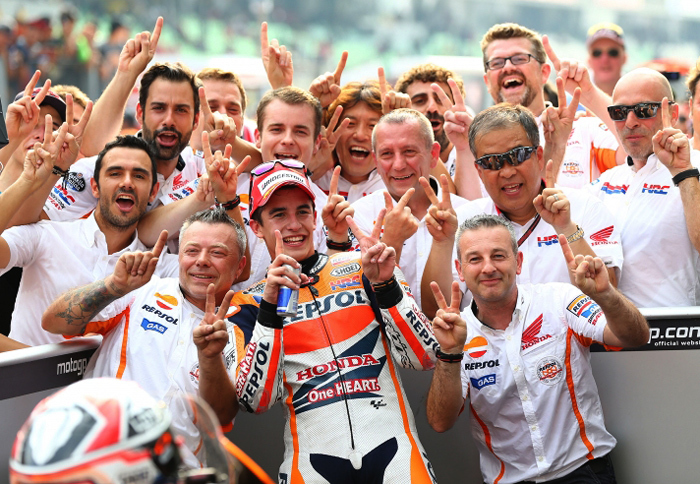 Marquez's 44th GP win was also Honda's 695th victory across the 50, 125, Moto3, 250, 500 and MotoGP categories. This has been another year of amazing record-breaking rides by 21-year-old Marquez who yesterday took his 13th pole position of the season, bettering the 12 poles set by multi World Champion Doohan in 1997 and another former Repsol Honda World Champion Casey Stoner in 2011. Two weeks ago in Japan Marquez became the youngest rider to secure consecutive premier-class crowns, breaking the record held by Briton Mike Hailwood for almost half a century. Today Marquez had to use everything he's got to take victory in the toughest conditions of the season. 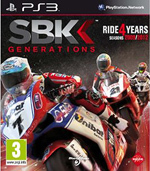 Victory at this immensely challenging circuit doesn't require supreme riding talent alone, it also demands superhuman fitness and endurance to resist the effects of riding a red-hot motorcycle at the limit in steaming hot conditions - 35 degrees and 50 per cent humidity. 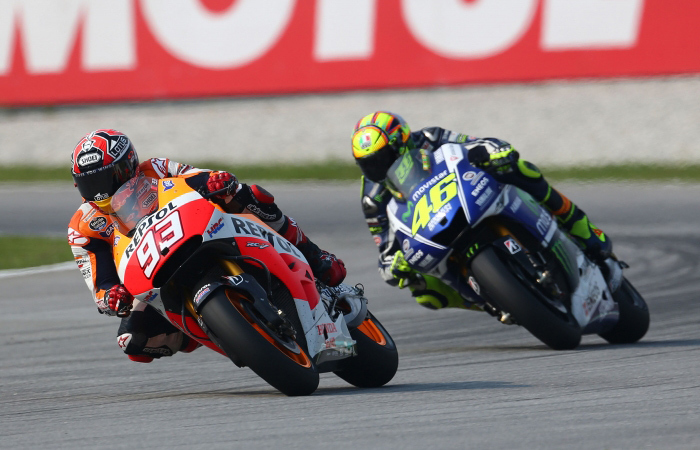 Marquez may have started from pole but he lost out in the Turn One battle where he was pushed out wide after a contact with Jorge Lorenzo (Yamaha). Sixth at the end of the first lap he soon climbed back to third but from that point his job became a little more difficult. Lorenzo led, chased by team-mate Valentino Rossi who took over at the front just before half-distance. Marquez quickly followed Rossi past Lorenzo - who later admitted he was struggling in the suffocating heat - and then the very next lap he swept into the lead when Rossi ran wide at Turn 15. From there the pair pulled clear of Lorenzo, Rossi always threatening on Marquez's rear wheel until the final few laps when the champion's skill on worn tyres allowed him to break away and win by 2.4 seconds. Marquez now has one Grand Prix left - the Valencia season finale on 9th November - to win a 13th race and thus break Doohan's long-held record. Marquez's team-mate Dani Pedrosa (Repsol Honda RC213V) had an unhappy day at Sepang. Second behind Lorenzo on the first lap he slid off at the Turn 15 hairpin the following lap. He rejoined the race in last place, worked his way up to 11th and then slid off again on lap 13 due to a mysterious copycat fall. Stefan Bradl (LCR Honda RC213V) completed a strong weekend with a determined ride to fourth place in the debilitating conditions. The German never had time to rest as he had to work hard to fend off a hard-charging Bradley Smith (Yamaha) in the closing laps. 18 BARBERA 21, 19 DE ANGELIS 14, 20 PETRUCCI 13. 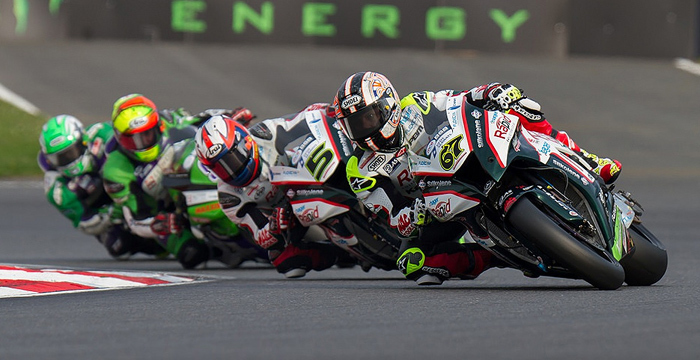 MotoAmerica Releases 2015 Race Schedule - The Legendary Daytona 200 IS DEAD! 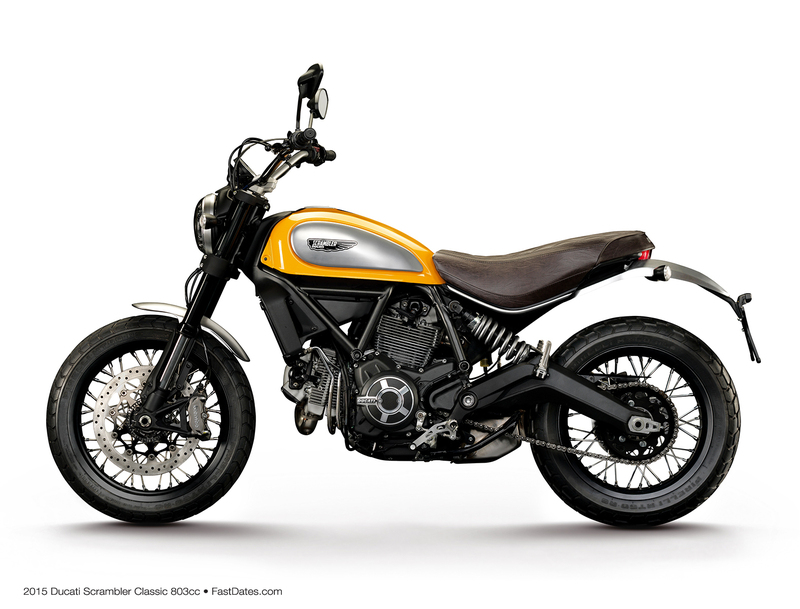 October 15th 2014 - Ducati presents the first motorcycle engine with variable timing of both the intake and exhaust camshafts. Named Ducati Testastretta DVT, Desmodromic Variable Timing, Ducati's new Desmodromic engine is the first in the world with variable timing on both inlet and exhaust camshafts, leading the way for a whole new generation of such engines. 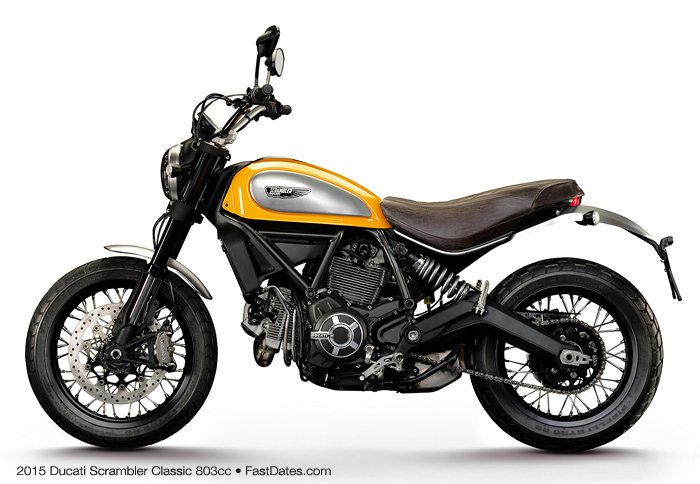 The innovative, new design overcomes an engineering gap in current production motorcycle engines and underlines Ducati's strength in developing ground-breaking engine and motorcycle technologies. This is the new DVT mechanism which is attached at the end of both Intake and Exhaust Camshafts per cylinder. The outer section is attached to the cam drive, the inner piece is attached to the end of the cam shaft. Varying oil pressure inside the 3 rotating cavities will move the cam positing back and forth to alter cam timing from low to high RPMs. 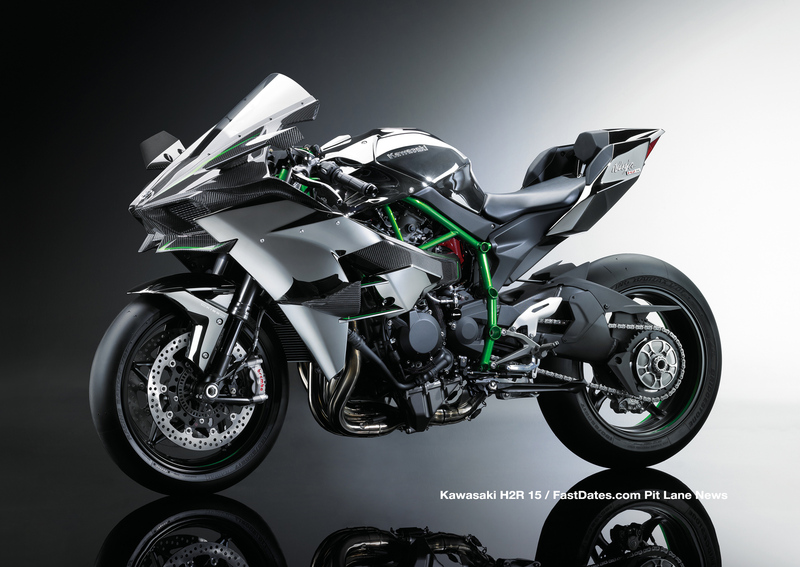 New generation By independently adjusting both the timing of the camshaft controlling intake valves and the timing of the camshaft controlling exhaust valves, the Ducati Testastretta DVT engine optimises high rpm performance for maximum power, while at medium and low rpm, it ensures smooth operation, fluid power delivery and high torque. This means that the vehicle's engine will adapt its characteristics according to rpm values, while always ensuring compliance with exhaust emission standards and keeping fuel consumption low. When a new engine is designed, one of the most critical parameters to determine its 'character' is the amount of intake and exhaust valve overlap. The overlap angle is defined as the interval of crankshaft rotation, expressed in degrees, during which both the intake and exhaust valves are open at the same time. This overlap occurs between the end of the exhaust stroke and the start of the intake stroke and is normally a single value that does not change. 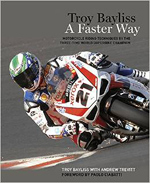 However, the Testastretta DVT is not limited by a fixed valve overlap angle. The new DVT mechanism is enclosed inside housing on the end of the cam drive at right . 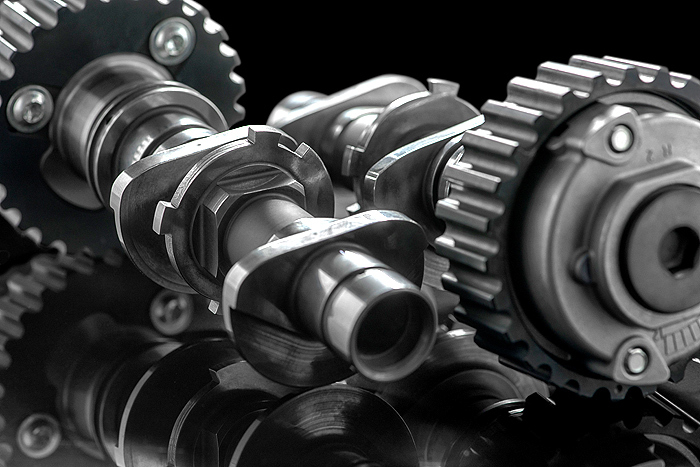 Instead, the Ducati Testastretta DVT’s overlap angles can change, thanks to the introduction of the DVT (Desmodromic Variable Timing) system: a valve timing adjuster fitted to the end of each of the two camshafts per cylinder head. 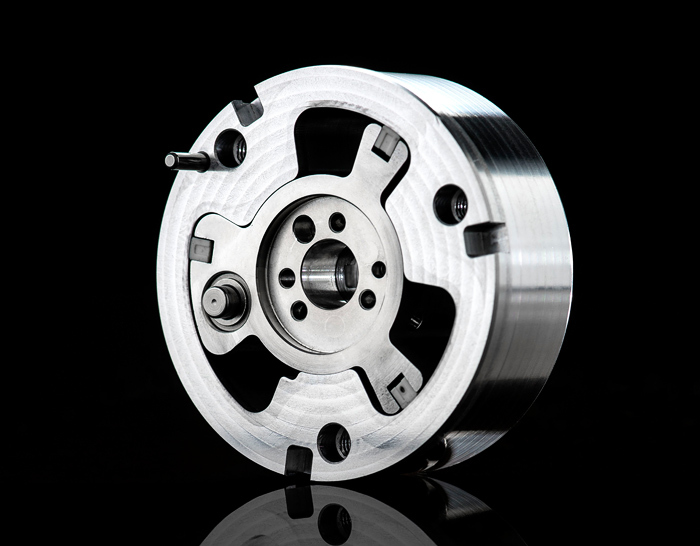 The DVT system consists of an external housing, rigidly connected to the cam belt pulley, and an internal mechanism which is connected to the camshaft and can independently rotate inside the housing. This rotation of the internal mechanism, either in advance or in delay with respect to the housing, is precisely controlled by varying the oil pressure in special chambers of the mechanism. The oil pressure is adjusted by dedicated valves and the timing of each cam is dynamically controlled by a sensor located in the cam covers. Desmo attraction The Ducati Testastretta DVT engine uses the unique valvetrain that made the Bologna-based Italian manufacturer a world-famous name. Thanks to this unique system, the intake and exhaust valves are closed mechanically and with the same level of accuracy as they are opened. The term Desmodromic derives from the Greek words “desmos=link” and “dromos=stroke, travel”; in mechanical engineering terms, it refers to mechanisms designed to actuate valves both in the opening direction and in the closing direction. This system, used in all Ducati models, has also been extremely successful in Ducati Corse World Superbike and Desmosedici MotoGP motorcycles. In the development of the DVT, the Desmodromic valvetrain represents a major advantage over a traditional spring based timing system; the actuation of the valves at low engine speed requires less force, not having to compress the valve springs, this allowed Ducati to limit the size of each cam phaser with obvious benefits in terms of lightweight construction and compactness for a perfect engine integration. Ever-present strong torque With its 106 mm bore and 67.9 mm stroke for a total capacity of 1,198 cm3, the newborn Ducati Testastretta DVT engine produces a maximum power of 160 HP at 9,500 rpm, and a torque up to 136 Nm at 7,500 rpm with a perfectly linear delivery curve. The torque is already 80 Nm at a low-range value of 3,500 rpm, and it remains consistently over 100 Nm between 5,750 and 9,500 rpm. Despite an increase in power, however, the DVT system has a positive impact on fuel efficiency, with an average 8% reduction in fuel consumption compared to the previous non-variable configuration. 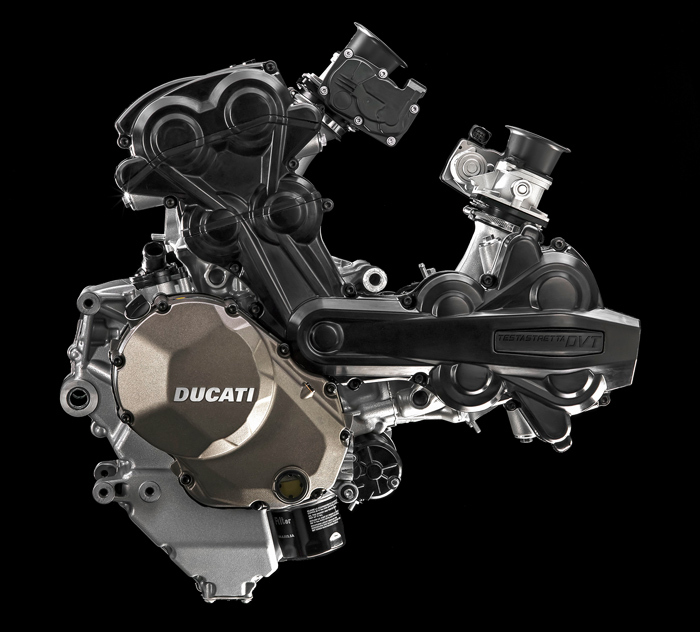 Ducati's permanent research and development efforts applied to injection systems have repositioned the fuel injectors to target their spray directly onto the rear of the hot intake valve, instead of the colder surface of the intake port wall. The resulting enhanced fuel vapourisation improves combustion efficiency and ensures a smoother delivery. The Testastretta DVT is equipped with a Dual Spark (DS) system that uses two spark plugs per cylinder head, providing a twin flame-front that ensures complete combustion across a very short period of time. Each spark plug is managed independently, to optimise efficiency throughout the rev range and in all conditions of use. An anti-knock sensor ensures safe engine operation even while using lower octane fuel or in situations potentially detrimental to combustion efficiency, e.g. at high altitude. In order to achieve a smoother cycle-to-cycle engine operation, Ducati has used a secondary air system similar to that developed for extremely high-performance engines. This optimizes combustion without increasing emissions, by completing the oxidisation of unburned hydrocarbonsto reduce HC and CO levels. Suitable for any condition Thanks to all these characteristics, the Ducati Testastretta DVT sets new standards for Ducati twin- cylinder power units and introduces new, revolutionary parameters to achieve the best possible balance among maximum power, smooth delivery, low-rpm torque, low fuel consumption and reduced emissions, thus standing out as the most technologically advanced Desmodromic twin-cylinder engine on the planet. The Ducati Testastretta DVT system does not affect the valve clearance adjustment schedule, and in fact requires major services only at ownership-friendly 30,000 km intervals. This engine can be used in a wide variety of conditions and locations, while always delivering top performance and exceptional user- friendliness, safety and sheer excitement. We'd expect Ducati to use the new DVT Testastretta Engine as an upgrade in it's top of the line streetbike models like the Devial, Multistrada and Monsters in the near future. 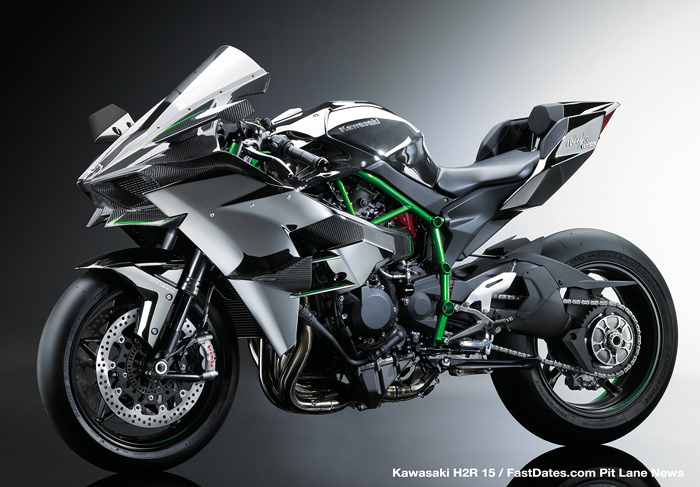 We wouldn't expect the added complication and recipricating weight to make it practical for its Superbike models which are tuned for more peak RPM performance. 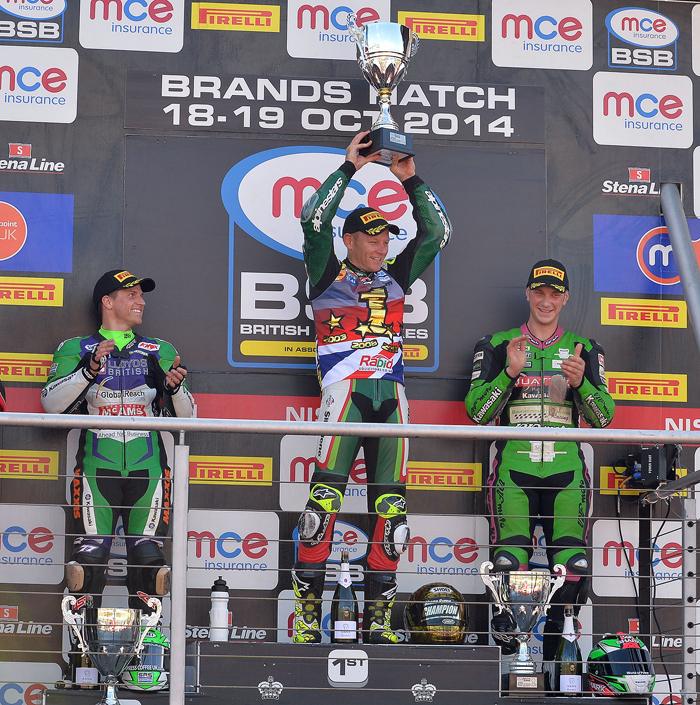 Brands Hatch, UK, Sunday 19th October 2014 - Shane 'Shakey' Byrne became the first man in history to take the MCE Insurance British Superbike Championship on four occasions when he clinched the 2014 crown with a double victory on the Rapid Solicitors Kawasaki at Brands Hatch today. The Sittingbourne rider's task was made slightly easier when season long rival Ryuichi Kiyonari crashed out in free practice on Saturday morning, sustaining a broken collarbone in the process, but yesterday afternoon's opening race saw further drama when Shakey crashed out of second place meaning his lead over his arch rival remained at 12 points. That meant the title wouldn't be decided until the final race day of the season and although the Japanese rider was unable to start today's races, Shakey still had to finish fourth to make certain of the title. Starting from the third row of the grid meant there was further work to do but Byrne gradually worked his way through the field and hit the front for the first time at half race distance. From there on, he was never challenged and duly took the chequered flag for the 60th MCE BSB win of his illustrious career, duly securing the prestigious crown in the process. With the pressure off, Shakey, who also won the title in 2003, 2008 and 2012, then went on to take his 61st race win in the final race of the year after a terrific six-rider battle whilst there was further joy for the Rapid Solicitors Kawasaki team with Stuart Easton wrapping up the MCE BSB Rider's Cup after three superb rides, which saw him finish all three races inside the top six. The Hawick rider was on the pace throughout the weekend and enjoyed one of his strongest meetings of the year, taking fourth, fifth and sixth from his three outings. The results secured his seventh place overall in the Championship which saw him awarded the BSB Rider's Cup, the trophy awarded to the best rider outside of the top six Showdown places. Also in action for the Penrith-based team was eight-time TT winner Ian Hutchinson who was again on board the Rapid Solicitors Kawasaki Ninja ZX-10R Kawasaki in preparation for the forthcoming Macau Grand Prix whereby he battled to 22nd position. Shane Byrne: "After what happened on Saturday, I was paranoid about something going wrong on the first lap today and my only plan was to get through the first couple of laps unscathed. I could see the guys leading but there was no rush and I picked them off one by one to eventually get the lead. I just concentrated on running a steady rhythm and got my head down to eventually open up a gap. To take the title with a win is massive although, of course, it's a real shame Kiyo wasn't out there. Massive commiserations to him and his team as I would have loved him to have been battling with us in all three races. I was really tense in the final few laps but I brought the bike home and to wrap everything up with a double later on in the day was the perfect way to end the year. I'm delighted to win my fourth title so a massive thanks to everyone in the team." Stuart Easton: "It's been a strong end to the season for me and the last three or four rounds have been really pleasing and the results have been more in line with what I want. Saturday's race was really tricky as conditions were difficult so to come away with a top six finish set things up for Sunday. We made a few changes to the bike for the dry conditions and they made a big difference, making the grip loads better and I could run the pace of the top boys throughout. To end the season with fourth, fifth and sixth was really good and had it not been for a few poor rounds mid-season, things could have been different. As it is, I've ended the year in seventh place overall and with the MCE BSB Rider's Cup on the cabinet so I'll take it. There are a lot of positives to take out of the year and enable me to move forward again so I'll be taking that all on board and look for bigger and better things in 2015." Ian Hutchinson: "Track time's always a bit scarce in the Superstock 1000 class and with the weather being a bit iffy this weekend, I was up against it a bit. The result was not quite what I was looking for but I didn't want to get caught up in anything as the whole purpose of riding at these last two rounds has been to get some time on the Kawasaki prior to Macau next month. I've done just that and have a test planned on Shakey's bike in the next couple of days so can't wait to get out on the Superbike." Paul Bird: "What can I say; it's been a good day for us and to be here again as British Champions is pretty emotional. Obviously with Kiyo being out injured, it changed things a bit and wasn't how any of us wanted the year to end but with Shakey crashing out on Saturday, the pressure was still very much on. He came out in true Champion's style though and to take the title with two wins was brilliant. I was delighted for Stuart as well winning the BSB Rider's Cup. He's been really strong these last few rounds and it's nice to have seen both riders do their jobs this weekend. It's been a great year for the team so a massive thanks to all the sponsors and for everyone that's been involved." 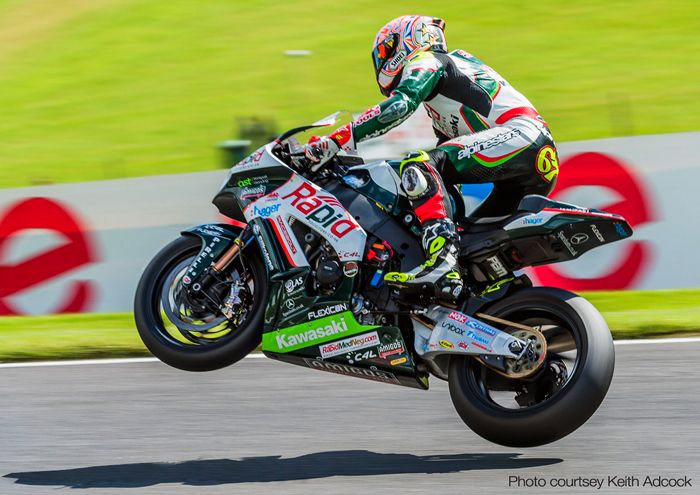 The Rapid Solicitors Kawasaki MCE British Superbike Championship Team has been running alongside the PBM MotoGP Team with riders Michael Laverty and Broc Parkes. Additionally, Paul Bird has run a full campaign in the REIS BTRDA Rally Series as well as selected International events in his Ford Focus WRC07. Both bike racing teams are sporting the colours of British Racing Green in deference to the team's proud British heritage. 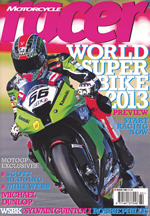 For more information, please visit www.britishsuperbike.com and www.pbmuk.net.